The ultimate skin detox. 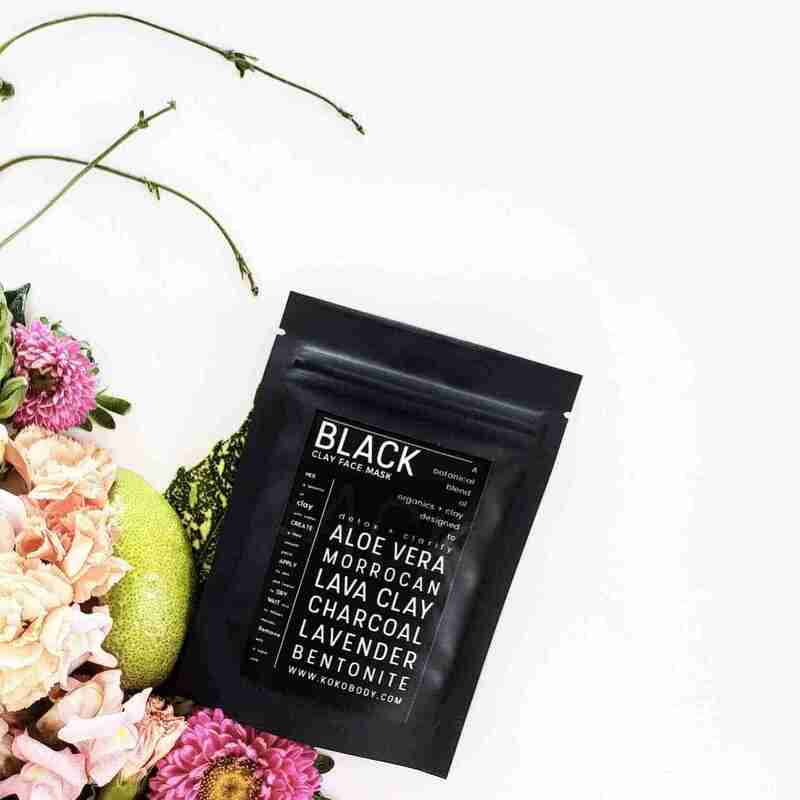 Black combines activated charcoal with the strength of pure New Zealand Bentonite clay for a deep pore cleanse. Mineral rich Morrocan lava clay tones and exfoliates for a softer even looking skin. A blend of Aloe Vera and Lavender heals and balances skin to help purify and discourage clogged pores and blackheads. Like a giant magnet that pulls toxins and dirt from your pores, activated charcoal is oily skins best friend. 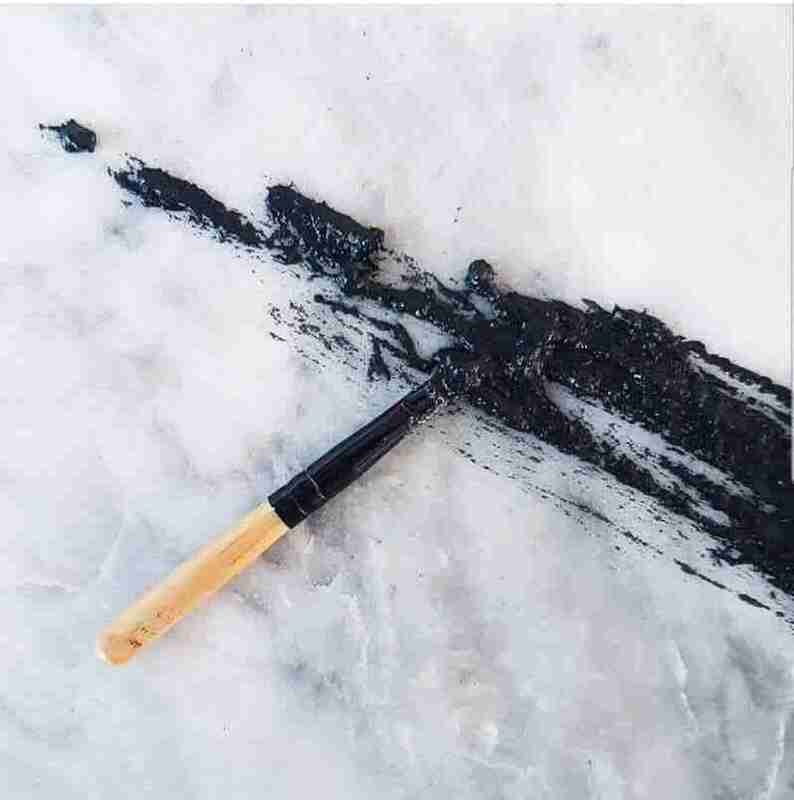 Activated charcoal has adsorption properties, this means it negative charge pulls and binds positively charged toxins to it, drawing them out from the skin. Our activated charcoal is made from coconut husks so you can be sure its made with 100% natural goodness. Packed with phytonutrients, aloe vera heals and balances the skin. Aloe vera contains natural salicylic acid, a beta-hydroxy acid which combats acne and pimples by breaking down debris on the surface of the skin. Naturally occuring plant enzymes in aloe vera combat puffiness and irritation for balanced happy skin. 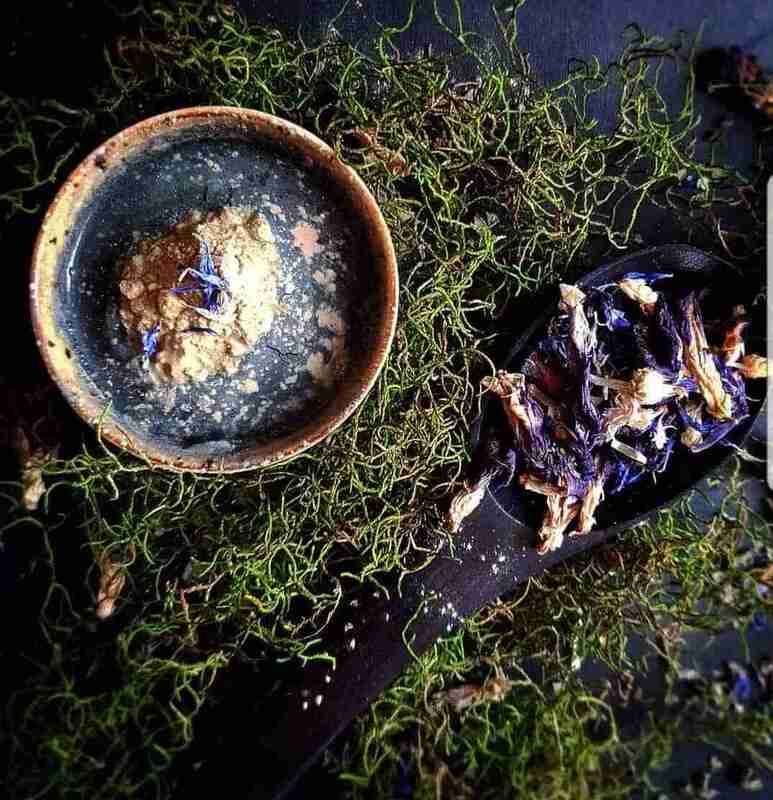 Lavender works holistically to balance the skin and help regulate production of your skins natural oils and sebum. Lavenders powerful antibacterial effects stops pimples forming by destroying bacteria before it can clog bores. Its anti-inflammatory properties can help minimise the appearance of pimples and acne on the surface of the skin. Black is made to Detox. Activated charcoal combined with the strength of pure New Zealand Bentonite clay will draw toxins and nasties from your pores. Mineral rich Morrocan lava clay tones and exfoliates for a softer even looking skin. A blend of Aloe Vera and Lavender heals and balances skin to help purify and discourage clogged pores and blackheads. Beware – Activated Charcoal is messy!!! It will stain white and light towels and clothing. To activate your green mask mix one teaspoon of Black with half a teaspoon of water. Gradually add a little more water until you get a thick consistant paste. If the mixture is too thin add a little more Black mask powder. If the mixture is too thick slowly add a little more water and mix until the consistancy is correct. Apply the mask using a brush or fingers working from your nose outwards. Avoid eye and mouth area. Apply thickly to avoid mask drying out too quickly and drawing moisture from your skin. Leave on for between 5 to 15 minutes then remove with a damp warm cloth. Bentonite Clay, Moroccan Lava (Rhassoul) Clay, Activated Bamboo Charcoal (Coconut Shell Derived), Aloe barbadensis (Aloe Vera) powder*, Lavandula angustifolia (Lavender) powder*.